Home | So You Wanna Get Jacked? That’s me in the picture above. A couple of seconds before this lift, my mind was racing and my music was on blast. I closed my eyes, cut every distraction out of my life for a couple seconds and imagined myself tearing the weight off the rack. Total serenity! A couple of seconds later, I strapped in, set up and pulled like fu*k. This is the result. 4 years of training went in to this one lift. 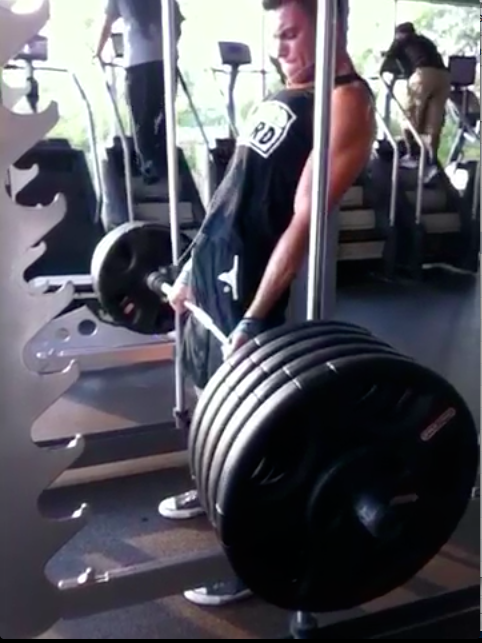 I did it, smashed my previous personal record of 495 by 10 pounds with this 505 pound lift. It wasn’t overnight, it took blood and sweat, and I finally did it. It was an amazing feeling and I hope I’ve brought it to life for you. Now let’s get to introductions. My name is Marko and I’ve created this blog as an outlet to share my passion for fitness with the world. As the title describes, we’re going to be getting jacked. Now, I want you to imagine the body that you want…now take a look at yourself in the mirror. Do you like what you see? Is there a big difference between where you are and where you want to be?! Well, I’m here to help you fill that gap and get you to where you want to be. When I say jacked, what’s the first thing that comes to mind? To most it’s a guy with python sized biceps, a massive barn door back, tree trunk legs, delts the size of tennis balls, a titans chest and ripped abs. To some that’s the ideal body, however we’re not all the same, so when you think jacked, I want you to think your ideal body. Now with that said, if you have the desire to become a better, more jacked you, you’ve found the right place. I need you to remember, nothing worth achieving comes without sacrifice, that’s both a beauty and a beast. I’ll be here for every step of your journey, but at the end of the day, what I eat or how I train will make no difference to your body, so be prepared to put in work, make sacrifices and reap the glory in the end!